Join the authors and editors of Australian Rainfall and Runoff (ARR) Urban Book as they cover the philosophy and application of ARR in urban catchments. The workshop will provide an overview of ARR and its application in urban areas, and will include practical application via examples, open discussion and answers to questions. Importantly, this workshop is an opportunity for practitioners and ARR editors to discuss the objectives, the application and challenges of the new ARR Urban Book. The workshop will be delivered by Peter Coombes and Steve Roso, who have both delivered a diverse range of projects based on water resources, including urban design, stormwater and runoff. Between them, Peter and Steve have decades of experience delivering practical, on-ground solutions for stormwater management in the public and private realm. Peter Coombes is a director of Urban Water Cycle Solutions, an independent research, policy and consulting think tank. He is currently an editor of the Urban Book of Australian Rainfall and Runoff. He was recently a professor of hydrology and water resources at Swinburne University, a Chief Scientist in the Victorian Government and the Managing Director of Bonacci Water. He has contributed to PMSEIC, NWC, UN, and Victorian government working groups on water resources. His research interests include integrated water cycle management, water sensitive urban design, hydrology, government policy, economics, complex systems and molecular sciences. He has generated over 200 scientific publications and designed more than 120 sustainable projects. Steve Roso is an environmental engineer with 20 years of experience in floodplain management and urban drainage. 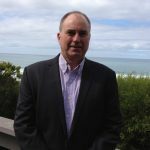 During this time, Steve has held senior roles as an engineering consultant and as a stormwater infrastructure manager for a large Queensland local government authority. In these roles Steve has delivered a diverse range of stormwater projects and initiatives. These include several complex, multi-million dollar facilities such as wetlands, naturalised channels, flood mitigation, and trunk drainage system upgrades. Several projects have won awards at state and national level. He has also gained a detailed understanding of the long-term management of urban drainage assets, including their maintenance, operation and renewal. These insights have been important contributors to his urban drainage design expertise. Steve has maintained a strong focus on technical investigation aspects of urban drainage projects using computer-based flood models. He has directly conducted and also managed several major flood studies and overland flow mapping projects for urban catchments. Steve is a contributing author and co-editor of Australian Rainfall and Runoff Book 9, ‘Runoff in Urban Areas’.